A mutual fund pools the money of many investors to purchase securities. The fund’s manager buys securities to pursue a stated investment strategy. By investing in the fund, you’ll own a piece of the total portfolio of securities, which could be anywhere from a few dozen to hundreds of securities. This provides you with a convenient way to obtain instant diversification that would be harder to achieve on your own. There are many mutual funds to choose from. The two most common types are stock mutual funds and bond mutual funds. A stock fund invests in common stocks issued by U.S. and/or international companies. Funds are often named and classified according to investment style or objective, which can be stated in various ways. For example, some stock mutual funds buy stocks in companies believed to have potential for long-term growth in share price. Other stock mutual funds look for current income by focusing on companies that pay dividends. Sector funds buy stocks in a particular sector, such as technology or health care. Still other mutual funds may purchase stocks based on the size of the company (e.g., stocks of large, mid-size, or small companies). Although the name of a stock mutual fund generally offers insight into its investment style and objective, it is important not to rely on the name alone in determining whether a particular fund is what you want. The fund prospectus is like an owner’s manual and contains information about the kind of investment style that the manager(s) employ, and the kinds of stocks that the fund will buy. Note: Before investing in any mutual fund, carefully consider its investment objectives, risks, fees, and expenses, which are discussed in the prospectus available from the fund. Read the prospectus carefully before investing. A bond fund is made up of debt instruments that governments or corporations issue to raise capital. They are designed to provide investors with interest income in the form of regularly scheduled dividends. If you bought individual bonds, you would need to concern yourself with their maturity dates and the reinvestment of your funds. Buying shares of a bond fund relieves you of these concerns; the fund manager handles them for you. Bond funds are primarily classified according to the issuers of the bonds in the fund’s portfolio and/or to the term of the bonds. For example, municipal bond funds buy bonds issued by municipalities. The income from these is free from federal tax (however, a portion of the income may be subject to the federal alternative minimum tax) and may be free from state and local taxes. Similarly, some funds invest only in U.S. Treasury debt instruments (e.g., bonds, bills, and notes) or high-grade (or low-grade) corporate bonds. Some bond funds, from all types of issuers, limit themselves to bonds maturing in the short, intermediate, or long term. Bond funds are subject to the same inflation, interest-rate, and credit risks associated with their underlying bonds. As interest rates rise, bond prices typically fall, which can adversely affect a bond fund’s performance. There are other types of mutual funds that you will encounter. Funds that invest in both stocks and bonds (or stocks, bonds, and cash alternatives) are often known as balanced funds. A money market fund buys extremely short-term debt instruments and is often used as a place to put cash, short term, until it is needed elsewhere. (Though a money market fund attempts to maintain a $1 per share value, there is no guarantee it will always do so, and it is possible to lose money investing in a money market fund.) Index funds attempt to duplicate a standardized, broad-based index such as the Standard & Poor’s 500 (S&P 500) stock index or Moody’s bond index by holding a portfolio of the same securities used by the index in an attempt to match the index’s performance as closely as possible. Diversification: Most mutual funds own dozens or even hundreds of securities. The managers often spread the fund’s assets over more than one type of investment (e.g., both stocks and bonds, or stocks from a variety of industries). This exposes you to less potential risk than buying just a few individual securities. If some of the fund’s holdings perform poorly, they may be offset by others doing well (though diversification cannot guarantee a profit or ensure against a loss). Professional money management: When you buy shares in an actively managed mutual fund, part of what you pay for is the fund manager’s expertise. The manager analyzes hundreds of securities (both current and contemplated holdings) and makes decisions on what and when to buy and sell. Small investment amounts: Depending on fund rules, you can open an account and make subsequent contributions with a very small initial investment. You can even set up automatic investments through a transfer of funds from your bank account. Liquidity: You can convert your mutual fund investment into cash (i.e., redeem your shares) by making a request to the fund company in writing, over the phone, or on the Internet on any business day. Of course, mutual funds are not guaranteed investments. The price of all mutual fund shares can change daily, and you’ll receive the current value of your shares when you sell–which may be more or less than you paid. All investing involves risk, including the possible loss of principal, and there can be no assurance that any investing strategy will be successful. Choosing a mutual fund to invest in requires more than picking a fund from the Top 10 list of the best past performers. Choosing a mutual fund requires careful thinking about numerous factors. The most important of these to consider include your investment objectives, risk tolerance, and time horizon. Spend some time considering these factors, then do as much research as you can. Many financial magazines and web sites are good sources of information to use in an initial screen for suitable mutual funds. Review the fund prospectus. It provides a great deal of information that you’ll want to know about the fund, such as the fund’s investment objective and style, and the fund’s expenses. To get a prospectus, contact the mutual fund company directly, or go on-line to the company’s website to download one. 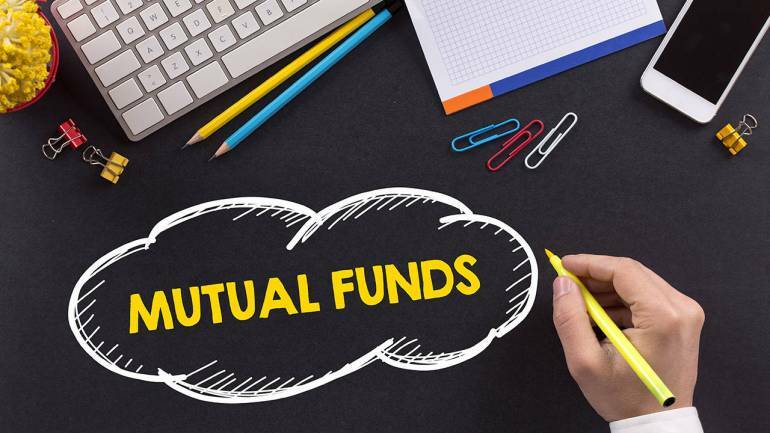 All mutual funds have expenses that investors must pay for, but the sales charge, or load, is probably the most significant and varied among funds. These sales charges are generally paid as commissions to stockbrokers, financial advisors, and insurance agents. The sales charge may be deducted at the time you purchase shares of the mutual fund (front-end load), leaving less to work for you, or it may be charged at the point of redemption (back-end load). Some mutual funds, known as no-load funds, have no sales charges. Pay attention to a mutual fund’s other fees and expenses, as well. Look at a fund’s expense ratio, which is calculated by dividing the fund’s annual expenses by the fund’s average net assets. Expenses affect a fund’s net return. The higher the expense ratio, the less money is being put to work for you. Portfolio turnover reflects the value of a fund’s trades during a year compared to the total value of its assets, and is often used as an indicator of how actively a fund manager trades. If the value of a fund’s trades equals that of its entire portfolio, its turnover ratio would be 100 percent. Aggressively managed funds generally have higher portfolio turnover ratios than do conservative funds, which buy and hold for the long term. High turnover generally adds to the expenses of a fund because of the brokerage commissions paid for each transaction. More important, however, is that when the fund sells stock at a gain, the gain must be distributed to shareholders. You will then be liable for income tax on your portion of the gain, even if the gain was reinvested, and even if your fund’s share value actually decreased that year. A tax-efficient approach minimizes the tax impact of its trades by implementing strategies such as offsetting gains by selling other stocks at a loss, or holding stocks for long periods. Note that if you own a mutual fund in an individual retirement account (IRA) or a qualified retirement plan at work (e.g., a 401(k)), tax efficiency is not as important. This is because no tax is immediately paid on realized gains in these retirement accounts and plans; tax is deferred until the money is withdrawn. Although past performance is no guarantee of future results, a fund’s track record over the past 3, 5, and 10 years is certainly worth considering. How does it compare with its peers–funds with similar risk and investment strategies? Apples-to-apples comparisons of funds are difficult, so a variety of broad market indexes are used as comparison benchmarks. For example, the S&P 500 is often used as a proxy for the U.S. stock market as a whole. Examine how well the fund that you are looking at has performed in both good and bad years relative to the most appropriate benchmark index. One of the advantages of purchasing shares in an actively managed mutual fund is professional money management. The past performance of the fund is a reflection of the fund manager’s ability to effectively manage its assets. You should research the current manager’s history with the fund; was the fund’s performance his or her achievement? If the fund has a new manager, make sure that individual’s investment style matches your expectations. Chesapeake Financial Advisors is a fee-only financial planning, investment advisory and tax planning firm with offices in Towson, Bel Air and Columbia, Maryland.